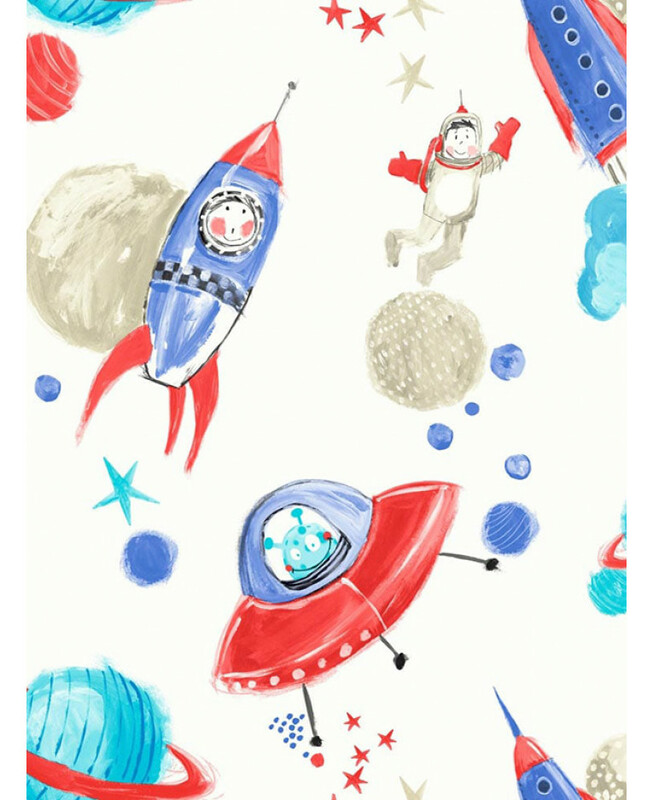 This cool space themed wallpaper features planets, stars, rockets and spaceships as well as aliens and astronauts. 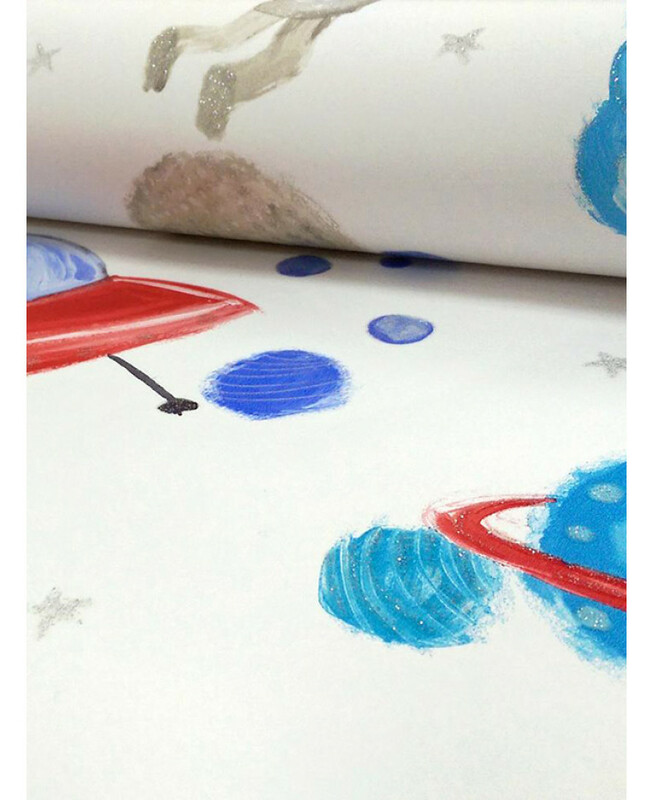 For added magic, the fun cartoon style images are tipped in glitter to give that beautiful shimmer and shine to your room. This wallpaper would look great as a feature wall when teamed with a coordinating wallpaper, or equally good when used to decorate a whole room.